The following is a guest post be Brooklin Nash. Brooklin writes about the latest tools and small business trends for TrustRadius. When he’s not writing, you can find him reading YA dystopian fiction (with guilty pleasure) and cooking. Creating content that converts may be easier said than done, but the concept is relatively simple. You are looking for content that connects with your target audience and encourages them to move forward in the purchasing decision. These days, companies have a powerful tool at their disposal: their customers. When approached in the right way, customers are no longer just customers. They can be brand ambassadors - and their voice often speaks louder than your run of the mill marketing content. Customers now have a worldwide public forum at their fingertips, in the form of social media and review platforms. 90% of online users rely on customer reviews to make a purchase decision. At the same time, people have learned to trust customer reviews nearly as much as a recommendation from a friend. It’s clear your customers have an opinion and a voice to be shared. 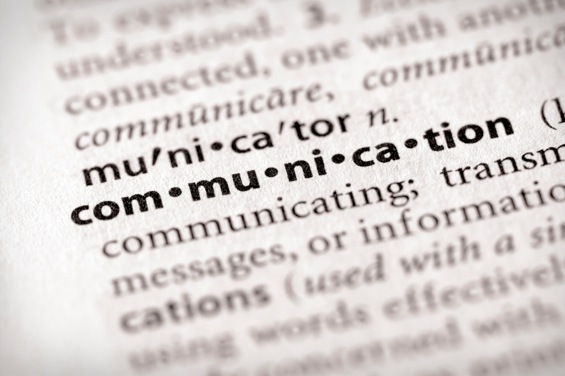 So how can you harness your customer’s voice to create content that converts? The very first step is to recognize just how powerful user reviews can be. Authentic reviews give a voice to your customers, and your customer’s voice give authenticity to your brand. People receive vast amounts of information online, and your company is likely to stand out if it features authentic reviews over marketing language. Incorporating reviews into content marketing has the added benefit of helping out your SEO. As you get started using your customer’s voice for content, you should make sure you have all the sources you need. Use a backlink research tool to identify which review platforms your company is listed on, and then take the steps to own those listings. This will give you more to work with and make sure only the best information is out there. In building up reviews, you should make an effort to get recieve reviews from a broad range of customers. Avoid cherry picking from one set of customers. This is important for a couple of reasons: first, buyers usually look for reviews from people in similar roles and, second, buyers are usually wary of listings with only positive reviews. It can take some time to build up steam, but don’t lose hope! Authentic reviews from a variety of customers will be much better in the long run than positive reviews from a small set of customers. Online review platforms can give you a leg up on your competition, but you should also take the active step of changing customer reviews into content. This can take the form of a landing page that features customer quotes, case studies about how you helped specific clients, or social media posts that engage with your customers. All of this is content that is more likely to convert, primarily because they feature your customer’s voice. Leveraging your customer’s voice is not a passive activity. It takes quite a bit of work - and will be well worth it! Once reviews start to come in, stay engaged with both customers and your target audience. Respond to reviews - both negative and positive. Thanking a customer for leaving a review will show loyalty, and responding to negative reviews will show engagement. Social listening tools can also help you see what comments, questions and complaints are arising about your brand. All in all, authentic content is content that converts. Using your customer’s voice will help your brand become more authentic. So start with these tips today! Email list management is a boring topic, I know. 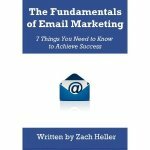 But if your organization is using email to communicate with customers or prospective customers, it is one you have to perfect. In the old days of email marketing, subscription was a binary choice. You were either subscribed, or you were not. If you subscribed and then changed your mind, you unsubscribed. That’s not the case with many organizations today. And if you are still doing it the old way, this is your wakeup call. When you give your subscribers options, you give them a better subscriber experience. Let’s say you are a clothing retailer with a lifestyle newsletter that you put out once a week. In addition, you have frequent sales and specials, new lines being released every season, and a pop-up shop tracker. In the old, binary world, if one of your past customers decided she did not want to receive the newsletter anymore because she did not care for the writing, she unsubscribed. But that meant that you could no longer send her emails about sales and new lines. But a smart organization like yours couldn’t abide that. Instead, you create separate lists. You have a newsletter list, a sales list, a new lines list, and a pop-up shop list. Now each user can customize what types of emails they get from your brand. Maybe some customers like the newsletter, but find that weekly is too frequent. Or they like the sales, but only on specific items. Why not segment your lists even further and let users set the frequency of the newsletter and choose the product categories they want to get alerts for? I know what you’re thinking – all this is doing is making email harder to manage. But the truth is, you can set these up once and you’re done. Email software and technology being what it is, most companies can put this kind of program on autopilot. The more you let your subscribers customize their experience, the better their experience becomes.